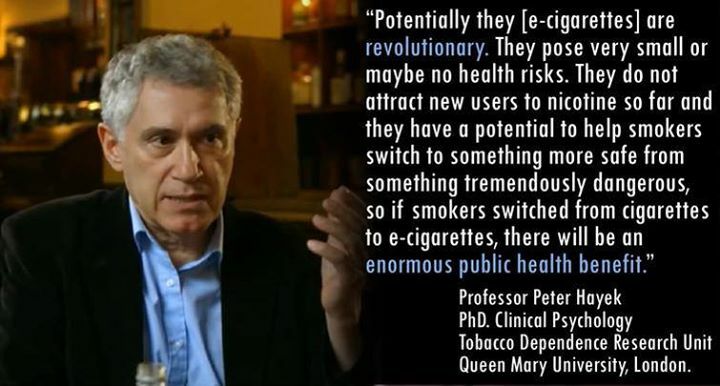 Over and over again, we’ve heard public health officials argue that we simply do not have enough scientific data to be certain that electronic cigarettes are a safe alternative to tobacco. But the truth is that research is abundant and every month, we have new studies that point to the truth. The latest study to hit the scenes is shaming critics and shocking public health officials with undeniable evidence that vaping is safe and effective…. Last week, on 26th of February 2015, the PETI and AFCO committees at the European Parliament hosted a public hearing on the European Citizens Initiative (ECI). The event brought together representatives from the European institutions, the European Ombudsman, campaigners and experts to discuss the lessons learned…. Electronic cigarette opponents have long argued that dual use offers no health benefits to smokers. Dual use refers to the use of both e-cigarettes and tobacco cigarettes. While clinical trials show that a small proportion of electronic cigarette users are able to quit completely, a quite large proportion of these smokers are able to substantially reduce their cigarette consumption. Anti-smoking advocates have widely argued that this reduction in consumption offers no health benefits. I have already debunked that myth by showing that substantial reductions in cigarette consumption can produce dramatic improvements in respiratory health, especially among smokers with asthma or other forms of obstructive lung disease…. In the interview the CMO truncated information with regard to a withdrawal of a butterscotch flavoured e-liquid. Responsible e-liquid manufacturers, such as VIP, who voluntarily withdrew their product, recognise the chemical diacetyl should not be present in e-liquids. This is because it has been strongly associated with the lung disease bronchiolitis obliterans when inhaled over time by workers in the food industry…..
American public health organisations have been instrumental in opposing the electronic cigarette, an opposition which in some areas has lead to bans on the electronic cigarette. What many do not realise is that these organisations have a conflict of interests rarely mentioned in their strident press releases. Their activities are funded to the tune of millions of dollars by the pharmeceutical organisations that produce nicotine cessations aids threatened by e-cigarettes…. According to data from Mintel, the smoking cessation market, comprised of brands including Nicorette, declined 4% in 2014 as vaping brands enjoyed a sales boost of the same percentage. The data reveals that for the first time since Mintel started tracking the market in 2008, it declined, slumping 4%. The figures also show the e-cig market grew 4%, suggesting vaping brands are being favoured over quit smoking aids. 1 Pings/Trackbacks for "In the News 11th March"